Highlights from the 21st National Day of Mobilization for the Fight against IDD. 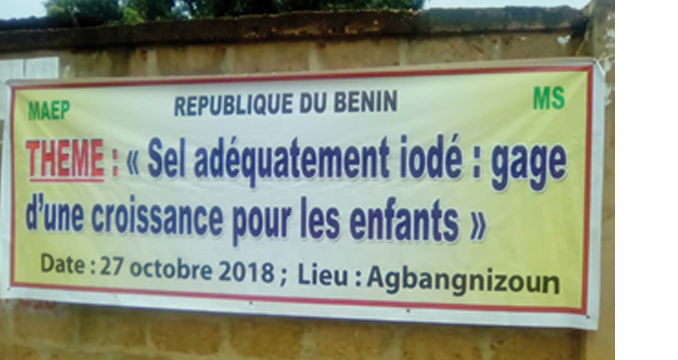 In Benin, government leaders and nutrition experts held a gathering to raise awareness in the community for iodine deficiency disorders (IDD), as part of the 21st National Day of Mobilization for the Fight against IDD, on Saturday, October 27, in Agbangnizoun, a town that mayor Eugène Azatassou stated is rife with IDD. M. Venance Gandaho, Deputy General Secretary of the Ministry of Health, speaking at the event. Iodine is a trace element essential for the proper functioning of the body and plays a major role in the growth of the brain in fetal and early childhood development, and healthy functioning of the thyroid gland in children, adolescents, and adults. "In pregnant women," said Venance Gandaho, Deputy Secretary General of the Ministry of Health, "iodine deficiency can lead to spontaneous abortion, premature delivery, fetal death, or developmental disorders of the fetal brain." He advised that iodine deficiency also causes endemic goitre, cretinism and intellectual impairment. "These disorders are often irreversible and prevention is the only way to fight." 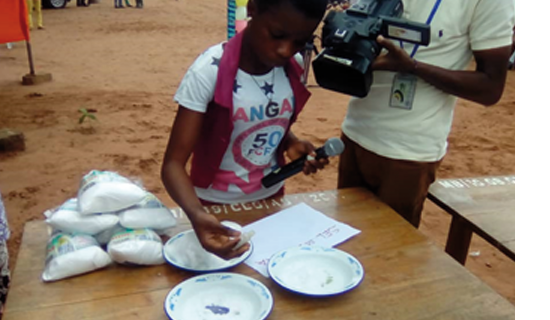 A Beninese girl is testing a salt sample with a rapid test kit (RTK) to see if it turns purple, meaning it contains iodine. 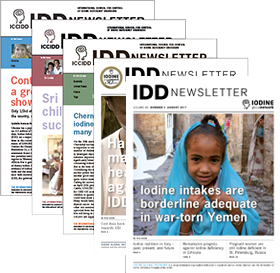 The elimination of IDD was adopted as a global goal at the World Summit for Children in 1990 and, thanks to the commitment of all actors, remarkable efforts have been made since 1994. Despite these, according to Françoise Assogba Komlan, General Secretary of the Ministry of Agriculture, Livestock and Fisheries "challenges remain to reverse the current trend, and it is imperative to empower all actors." The slogan “Adequately iodized salt guarantees child development” was printed on posters to raise the awareness of IDD. 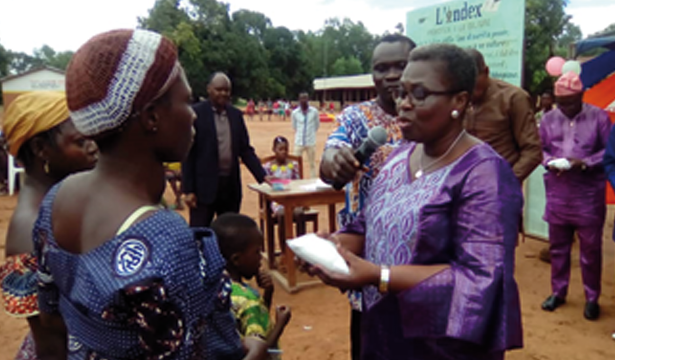 Dr. Françoise Assogba Komlan, General Secretary of the Ministry of Agriculture, handing out iodized salt. 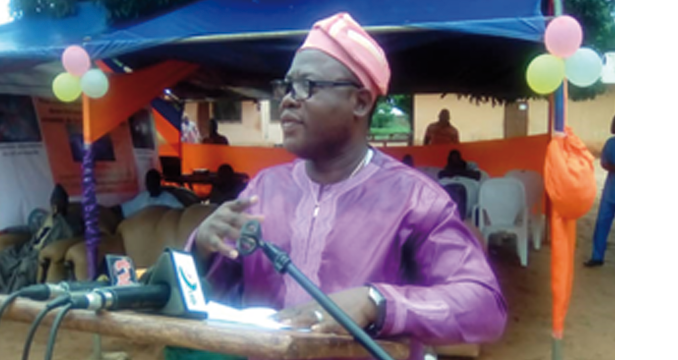 Speakers urged the community to consume iodized salt. The Secretary General of the Prefecture of Zou, Julien Ouankpo, pointed out that the indicators of iodized salt consumption in Zou, and specifically in the town of Agbangnizoun, need improvement. "It is imperative to change your behaviour," he said. At the end of the ceremony, packets of iodized salt were distributed free of charge to the people of Agbangnizoun. The event was held at the General Education College of Agbangnizoun.